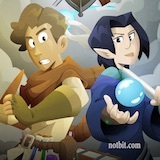 NotBit is a two player fantasy card game designed to teach binary concepts and computer logic. 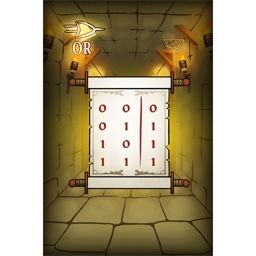 The game features different game modes ranging from simple (binary counting using bits) to complex plays using logic gates, magical spells and potions. The best way to learn a new skill is by being effortlessly engaged and fully immersed while doing it! Playing a card game is a relatable way to learn and memorize knowledge, and it appeals to a variety of learning styles. 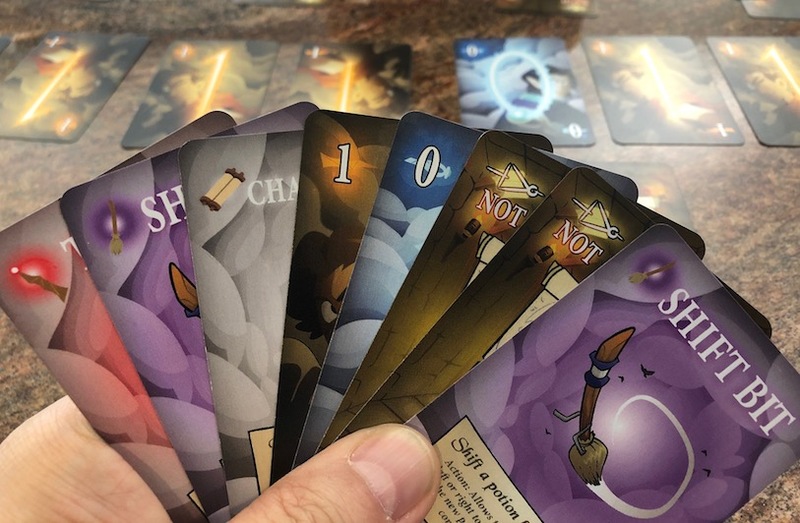 With up to 100 cards, NotBit comes with three games. 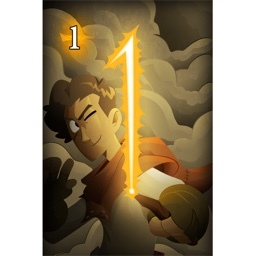 Once you have mastered all three games, make up your own games and rules. 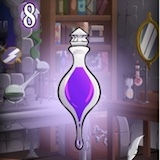 Later on, level up with our expansion packs with more spells for more fun! Our cards are carefully designed and produced on high quality gloss paper. We are proud of our craftmanship. 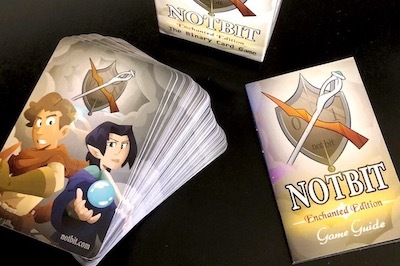 With up to 100 cards, NotBit comes with three games. Once you have mastered all three games, make up your own game and rules. 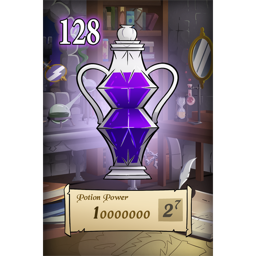 Later on, level up with our expansion packs with more spells for more fun! 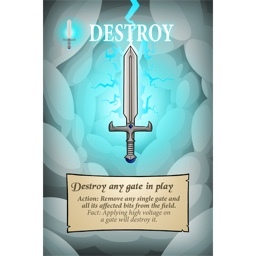 This NotBit magical card deck contains 100 high-quality cards that enables you to play multiple games. 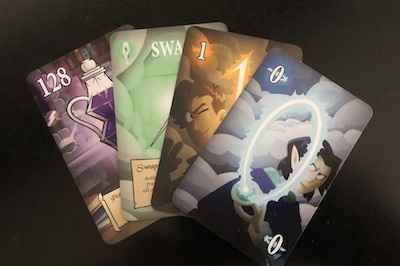 Use the bits and potion cards to learn to count in binary. 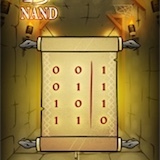 Use the spells and gates cards to escape from the castle and quickly learn to master Boolean logic. Contact us for classroom sets and custom bundles. I'm a cartoonist. 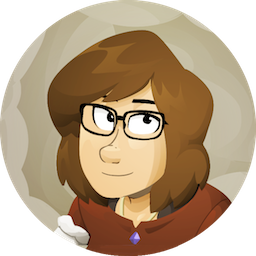 I'm the in-house illustrator and main character designer for most of the content we create. I work on anything that needs pencils, inks andcolors, including the characters for PodPi, Daybreak and NotBit. I am a graphic designer as well as a writer. My main work is writing the story of the Daybreak Protocol. 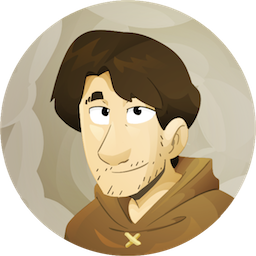 I enjoy creating new worlds and interesting characters with my husband, Jay. 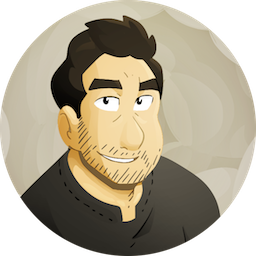 Creator of the PodPi Adventures and NotBit game. 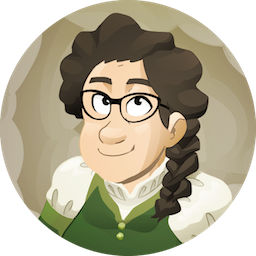 I have been an electronic engineer, software developer and architect for over 30 years. I believe we all learn better through experiences, discovery and failures. I want to provide the best programs to prepare your children for the jobs of the future. We believe in learning through playful experiences. Copyrights © 2018 All Rights Reserved by Two Wires Lab, Inc.